Do you live in Perth and want to get rid of your old car for some quick cash? Western Metal Recycling provides services to people residing in Perth to aid in making some fast cash for old cars that are not wanted anymore. We will be more than happy to collect your vehicle from a place and time most suitable to you. If your car is old and rusting because it got into an accident or because it would simply cost too much to repair, we can take it off your hands. The good part is that we pay in cash on the spot. Our staff can assist you once you make an appointment with us to sell your old car for cash. Our experienced team will then come by to view and collect the vehicle. We will then pay you before towing your car away. It is that simple. Our courteous staff will also be more than happy to answer any other specific queries you might have. The make, model and condition of the car does not matter to us, we take them all. So at Western Metal Recycling you can always sell your old car with no worries about if the car works or not. So if your old car has been wrecked in an accident, used to the point of no return, and generally just taking up space that you want to use for other things, do not hesitate to contact us for a no-obligations cash offer. Leave the rest to us. For your ease, we also offer free towing services so you do not need to worry about having to move or bring the car anywhere. And at the end of it all, you get paid for it ï¿½ so why wait? We offer up to $10,000 on the spot cash for old cars. Rest assured that we do not let your old car go to waste. We will recycle your vehicle in an eco-friendly manner. All metal will be scrapped and all liquids (brake fluid, oil, etc) will be properly disposed off. Tyres will also be recycled and will not be left in a landfill. In short, we recycle in a way that has a minimal negative impact on the environment. Apart from disposing off your old vehicle in an eco-friendly way, we buy all makes and models of a wide variety of car companies like Toyota, Ford, Honda, Nissan and many more. We offer you a free no-obligations quote so you can decide for yourself if our offer is suited to you or not. Our services include same day pickup anywhere in Perth. We handle the whole process so you can have peace of mind and do not have to waste much time in trying to get rid of your old car. 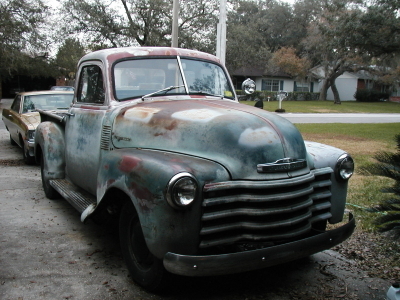 Do not let your old vehicle rust away when you can be getting some money out of it instead. Western Metal Recycling operates 24/7 and will gladly collect your old car for cash anywhere in Perth region. We pay market value and our offers are unmatchable. Call us today at 0415 227 955 for a free instant quote. You can also fill the instant quote form on our homepage and our representative will get back to you immediately.